Roof problems and repairs are issues you want to avoid when owning a house. Small as they can be, they need to be addressed in order to save yourself from a bigger, more expensive, and stressful problem. 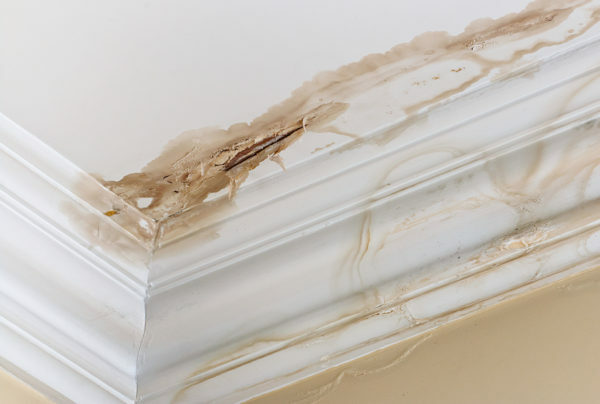 Even minor leaks that are easy to ignore can cause a lot of damage to your home. Catching these problems early can save you money and the hassle of having to replace your entire roof. A number of factors may contribute to leaks in your roof and moisture getting underneath the layers. Leaks that are not addressed will damage your roof, as well as the ceiling of your home and the interior. A poorly installed roof can be the onset of endless roofing problems and shortens the lifespan of a roof greatly. Making sure that the crew you’ve hired to install your roof are properly certified. Roofers that are properly educated on proper installation techniques will give you a head start in prolonging the life of your roof. Critters that live on or use your roof as a highway to their home are the cause of a surprising amount of roof problems. Eliminating as many of the critters running over the roof will save you from the havoc they reek. Debris from overhanging trees or fallen branches is also worth inspecting for regularly to prevent the damage they can cause. Those who live in the southwest know the damage the UV rays from the sun can cause. Your roof is no exception, with drying, cracking, and deterioration occurring over time and causing your roof to be further exposed to the elements. Punctures and penetrations in roofing material can come from hail and wind. The flashing around penetrations such as chimneys and vents should be regularly inspected for damage. Strong gusts of wind can blow debris onto the roof, as well as rip off roof materials if they are strong enough. It is a good idea to inspect your roof after a particularly windy day to remove any debris and check for any loose roofing materials. If the gutters are clogged, blocked water will eventually cause rotting and gutters will no longer be effective. Cleaning out debris from your gutters, especially in the fall, and checking for broken brackets or seams will keep your gutters doing their job. Ponding water is one of the main causes of leaks in a roof. Debris and improper drainage from gutters and HVAC units can cause ponding water. Water can also pool up on any area of the roof that dips down lower than the rest of the roof. Problems that are not taken seriously and repaired without proper techniques and materials can cause permanent damage to the roof. A quality repair job will save time and money in the long run. Neglecting frequent inspection of your roof and failing to address small problems are two ways a quick, inexpensive fix can turn into a time-consuming and pricy roof repair. Maintaining your roof is a key to saving yourself a lot of hassle. At Atlas Home Repair, we would like to help you overcome any problems you face in maintaining your roof. We guarantee quality repair jobs that will keep your roof doing its job for as along as possible. Call us today to set up an appointment at 575-522-0697 or request a free consultation here.